Amphenol Fiber Systems International (AFSI) recently engaged with the Allen Police Department to repair, reconfigure and upgrade broken fiber optic control lines used in their remote controlled robot. 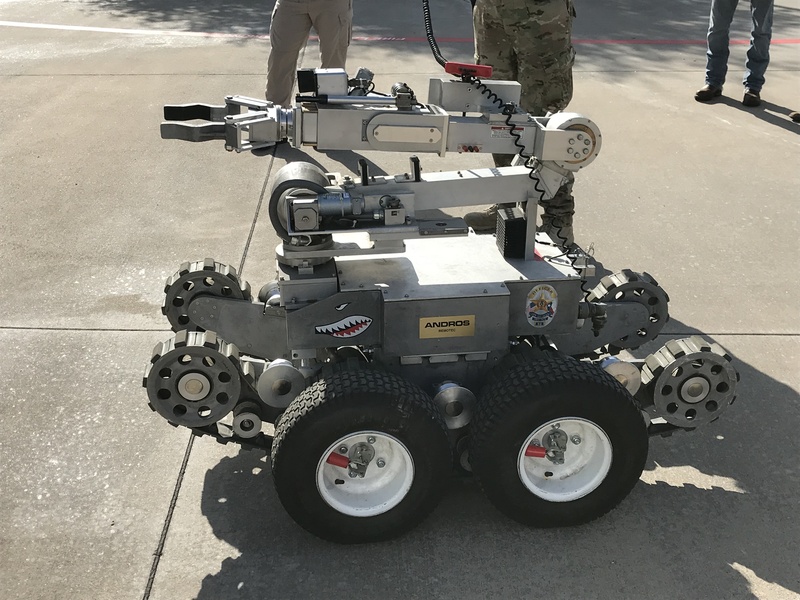 This robot has an extended arm, can drive to and reach through windows, under vehicles and around objects, search for bombs, take cameras into dangerous areas, deliver tear gas or pepper spray, and even rescue wounded people if needed. AFSI repaired broken fiber optic control lines and upgraded the original commercial grade connectors with harsh environment connectors that will allow high reliability operation in the critical situations in which the robot operates. AFSI is proud and honored to support the Allen Police Department and looks forward to continuing to work with Allen Police in the future.